You are here: / News / For some more Special we've prolonged our Azur Autumn for you! For some more Special we've prolonged our Azur Autumn for you! As Winter is almost here and we all miss the warm autumn evenings, we decided that the Azure Autumn will continue! Just like our Christmas gift, the Azur Autumn continues until January 31 2015 or until sold out. So don't hesitate and choose your favourite model kit with a 50% discount on our e-shop www.specialhobby.eu. Look for model kits marked by a present icon or by an autumn leaf. 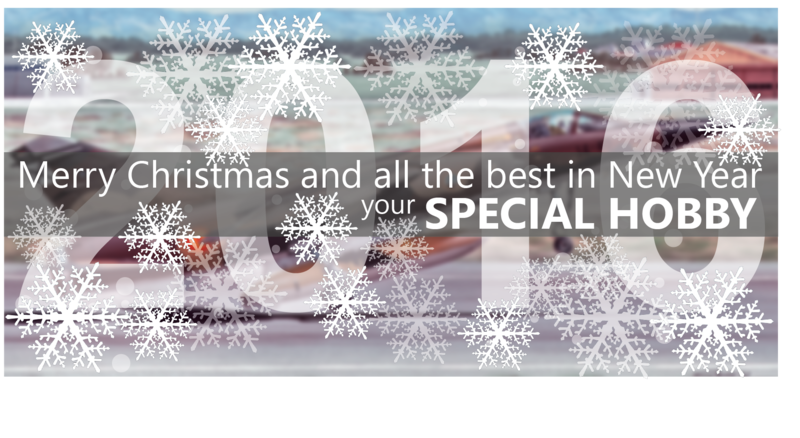 Special Hobby wishes you a Merry Christmas and a Happy New Year.